Encouraging both face-to-face leaning and e-learning is becoming increasingly important at the Sydney Opera House. 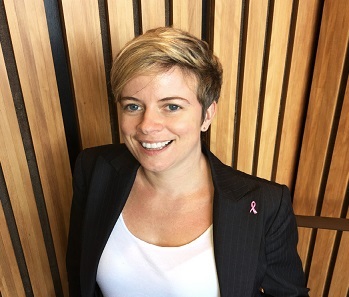 “Given that many of our employees work on stage or in venues, we have a large proportion of staff who are not in front of a computer on a regular basis, so encouraging interaction with e-learning has been a long game for us,” said Louise Hope, head of organisation development & learning at the Sydney Opera House. They started by introducing e-learning modules to complement on-boarding and induction processes, then added bite-sized modules to complement face-to-face training delivered on stage. However, Hope doesn't want e-learning to simply become the vehicle for compliance-related training at the Opera House. Consequently, they are currently working with managers to create micro-learning material that will support and compliment face-to-face training and can be accessed “just in time” as an introduction or refresher to a topic or concept. “We still have a long way to go in really embedding mixed delivery, but I’m incredibly lucky to have a talented e-learning specialist in my team, as well as access to some of the best recording facilities, so our modules are creative and engaging,” said Hope. One aspect of the job which Hope finds particularly enjoyable is running their staff engagement surveys. “It gives us so much rich data to really assess what is working well and what we need to do better,” she said. Following their last survey in late 2015, Hope personally ran 15 de-brief forum style workshops across each of the portfolios to "really unpack and understand the feedback better". “For staff, it was very powerful to have the opportunity - while their Executive was listening - to share their thoughts on how we could make things better for them and for the business,” added Hope. One key L&D lesson that Hope has learnt is that in order to do the job well, you need to spend time getting to know and understand your people, not just the business. “Having an understanding of the day-to-day issues and pressures experienced by the teams in each area of the business means we can deliver far more effective and personalised initiatives, workshops and coaching sessions,” she said. Louise Hope will be featuring at the Learning & Development Masterclass in Sydney. It takes place on 30 November 2016.